When I found out that I was going to be the mom of boys, I was a little bummed that I wasn’t going to have girls to sew for. The clothes for girls are SO CUTE. The dresses with ruffles and bows. The tutus and matching onesies. The baby leg warmers and hair bows. You get the idea. 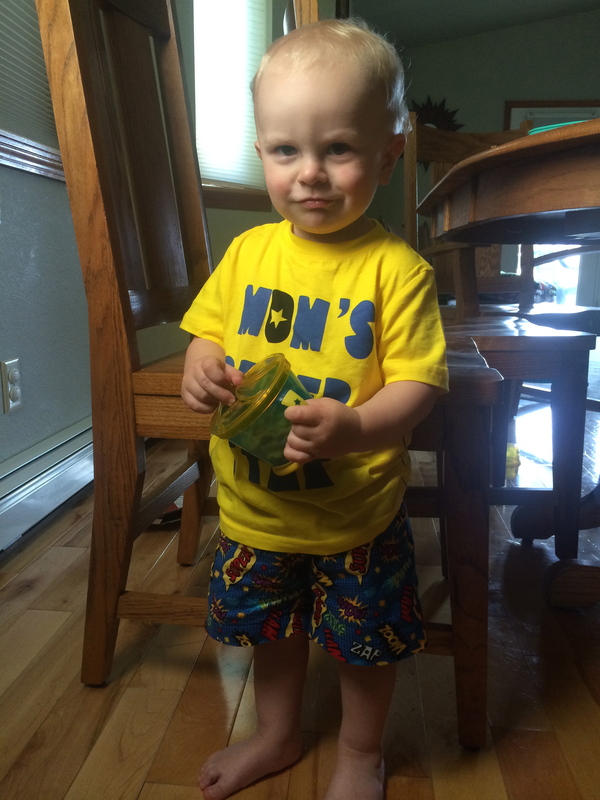 Being the mom of boys, I have dressed them in comfortable clothes that are easy to change. Sure, they have their dress-up duds that keep them looking cute, but our day-to-day look is very easy. 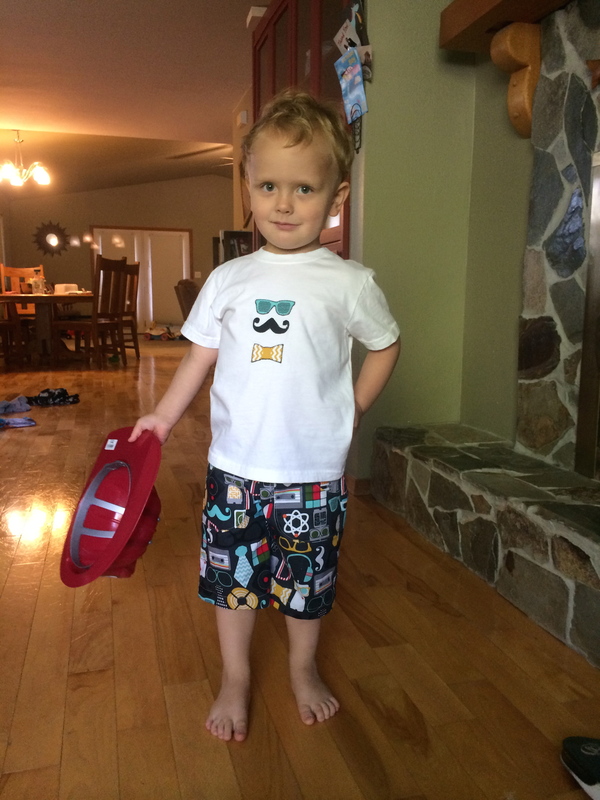 Our three year old picks out (whatever) he wants to wear. Our one year old is put in something easy. We are busy people! I had a lot of fun sewing for my boys over the fourth of July weekend. They were in need of some shorts with the weather in the mid to high 80s. And do you know what? They sure looked cute when I was done with them! Not ruffles and bows cute, but an awesome boy cute. I love the shorts that Dana has designed over at MADE. 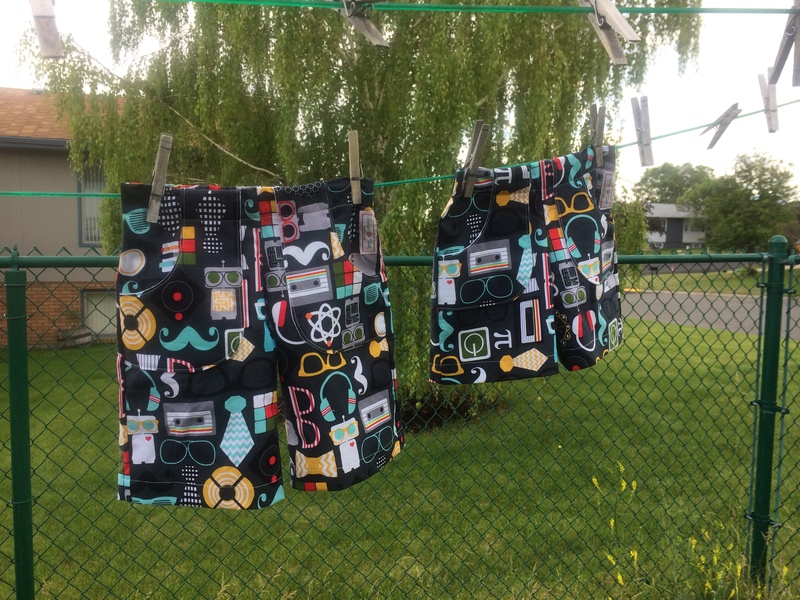 I bought the Kid Shorts Pattern with some specific fabric in mind to try it out. 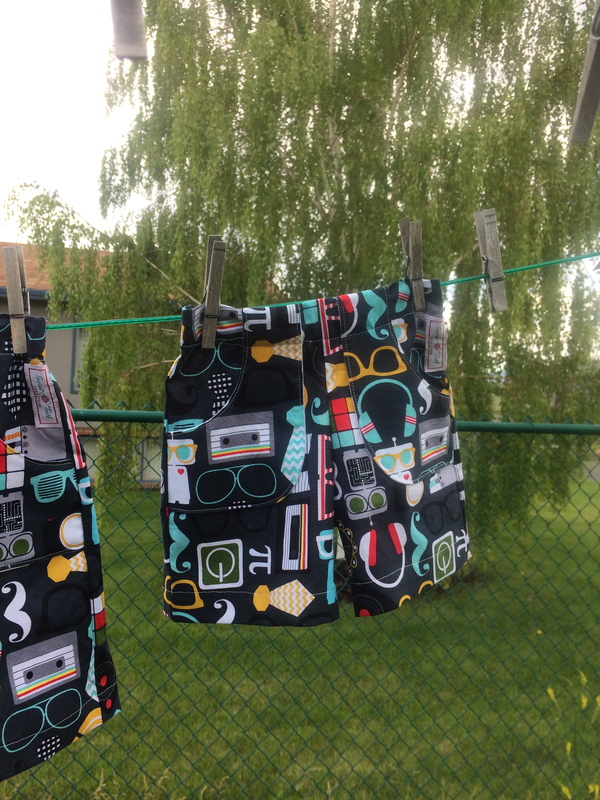 The first pair, one for each boy, was made from Timeless Treasures Retro Geek print. I picked up the fabric while we were on vacation. I absolutely adore it! 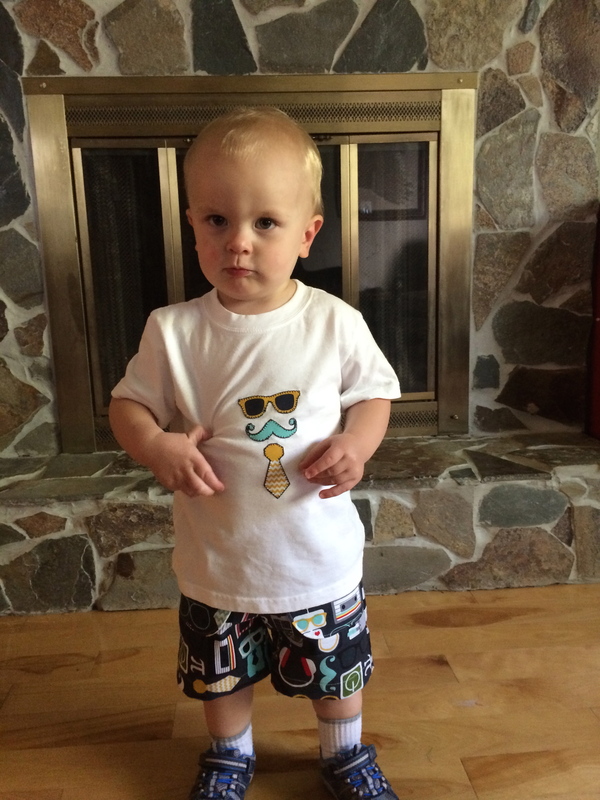 I made the flat-front version of the Kid Short pattern. 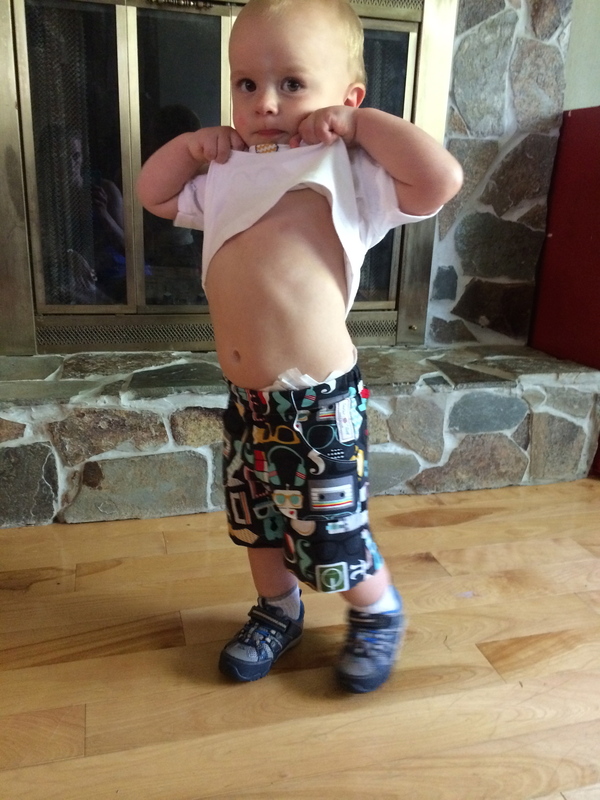 I didn’t change anything about the pattern this go-around, nor did I measure my kids’ waists. I just made the pattern in their corresponding commercial size. They fit great! Of course, I had to appliqué a matching shirt. I love the pockets on those shorts. The next set that I made was from the same pattern, but just the plain shorts. Fabric from JoAnns, shirts from JC Penney. The super hero shorts. This model would only pose with food. My other model was a bit uncooperative. The pattern was easy to follow and simple to sew. I will be making it again, probably for years to come as it goes up to a size 8 or 10! I see more shorts in our future!